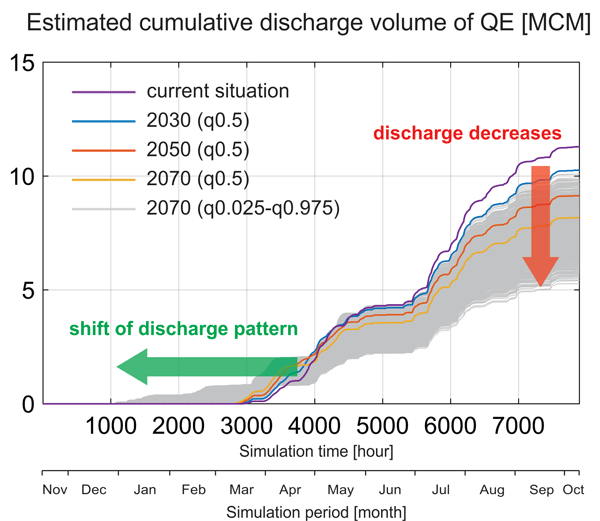 This paper investigates the skill of 90-day low-flow forecasts using three models. From the results, it appears that all models are prone to over-predict runoff during low-flow periods using ensemble seasonal meteorological forcing. The largest range for 90-day low-flow forecasts is found for the GR4J model. Overall, the uncertainty from ensemble P forecasts has a larger effect on seasonal low-flow forecasts than the uncertainty from ensemble PET forecasts and initial model conditions. Water flows through soils with more difficulty when the soil is dried out. Scant rainfall in deserts may therefore result in a seemingly wet soil, but the water will often not penetrate deeply enough to replenish the groundwater. We compared the mathematical functions that describe how well different soils hold their water and found that only a few of them are realistic. The function one chooses to model the soil can have a large impact on the estimate of groundwater recharge. In this synthesis of hydrologic scaling and similarity, we assert that it is time for hydrology to embrace a fourth paradigm of data-intensive science. Advances in information-based hydrologic science, coupled with an explosion of hydrologic data and advances in parameter estimation and modeling, have laid the foundation for a data-driven framework for scrutinizing hydrological hypotheses. 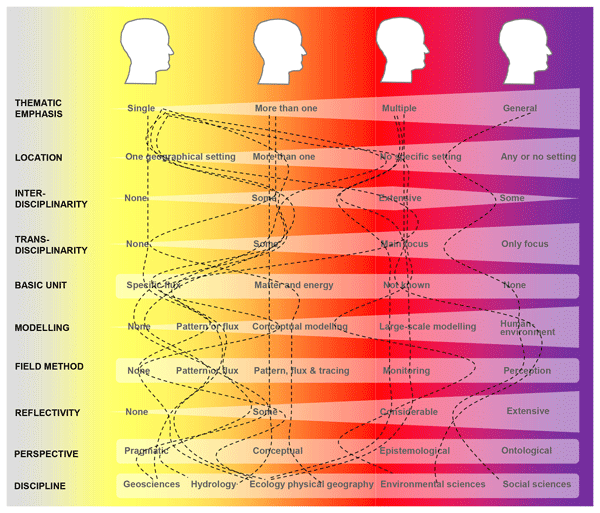 We call upon the community to develop a focused effort towards a fourth paradigm for hydrology. The diversity in hydrologic models has led to controversy surrounding the “correct” approach to hydrologic modeling. In this paper we revisit key modeling challenges on requirements to (1) define suitable model equations, (2) define adequate model parameters, and (3) cope with limitations in computing power. We outline the historical modeling challenges, summarize modeling advances that address these challenges, and define outstanding research needs. The study used an integrated glacio-hydrological model for the hydrological projections of the Himalayan Beas basin under climate change. It is very likely that the upper Beas basin will get warmer and wetter in the future. This loss in glacier area will result in a reduction in glacier discharge, while the future changes in total discharge are uncertain. The uncertainty in future hydrological change is not only from GCMs, but also from the bias-correction methods and hydrological modeling. The root zone storage capacity (Sr) of the vegetation is an important hydrological parameter. This study used a relatively new method based on climate data to estimate Sr values in boreal regions, instead of using soil data. The study shows that the climate-derived Sr values are not only linked to climate, but can also be directly linked to vegetation characteristics, and that the (non-)coincidence of snow melt and potential evaporation can have a large influence on the derived Sr values. Floods often affect a whole region and not only a single location. When estimating the rarity of regional events, the dependence of floods at different locations should be taken into account. We propose a simple model that considers the dependence of flood events at different locations and the network structure of the river system. We test this model on a medium-sized catchment in Switzerland. The model allows for the simulations of flood event sets at multiple gauged and ungauged locations. We developed a new tracer-aided hydrological model for karst catchments. This model captured the flow and tracer dynamics within each landscape unit quite well, and we could estimate the storage, fluxes and age of water within each. 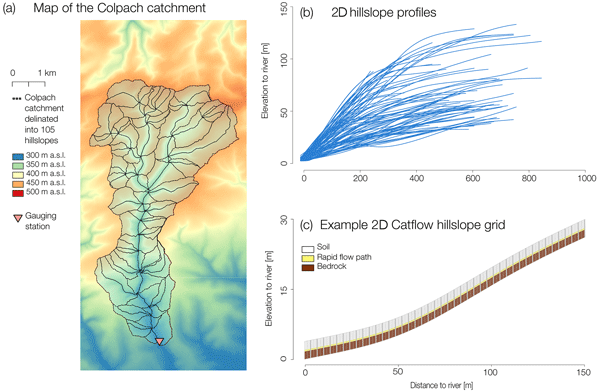 Such tracer-aided models enhance our understanding of the hydrological connectivity between different landscape units and the mixing processes between various flow sources. It is an encouraging step forward in tracer-aided modelling of karst catchments. Effects that climate change could have on the Tajo–Segura transfer are evaluated. To that, water resources that would be in the donor basin are estimated by hydrological modelling if the last climatic projections are accomplished. For these water resources, the exploitation of the transfer is simulated using a decision support system, providing volumes that could be transferred to the Segura basin according to its operating rule. 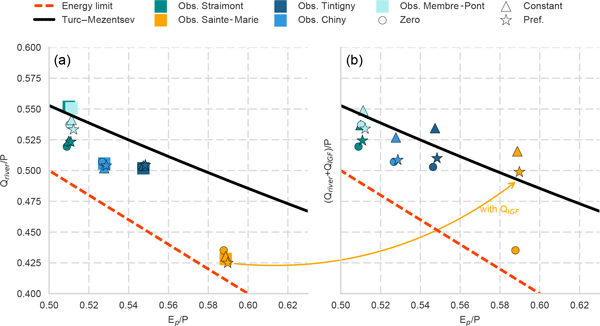 We quantify net intercatchment groundwater flows in the Meuse basin in a complementary three-step approach through (1) water budget accounting, (2) testing a set of conceptual hydrological models and (3) evaluating against remote sensing actual evaporation data. 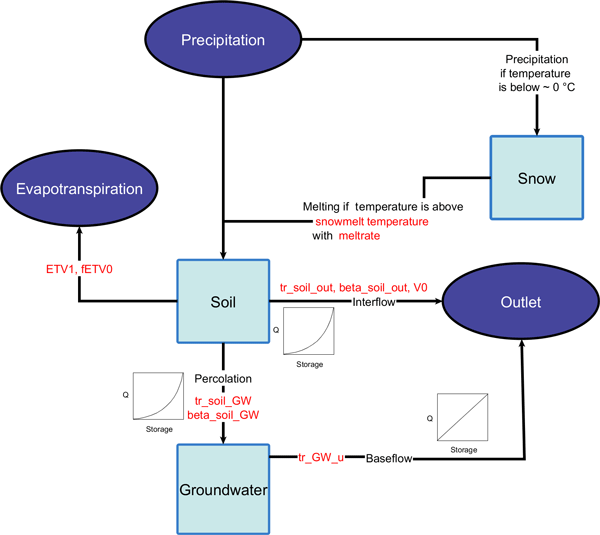 We show that net intercatchment groundwater flows can make up as much as 25 % of mean annual precipitation in the headwaters and should therefore be accounted for in conceptual models to prevent overestimating actual evaporation rates. 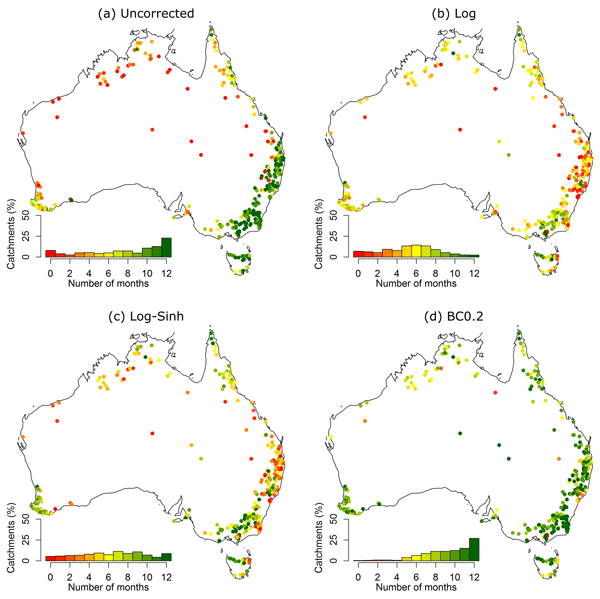 This paper evaluates several schemes for post-processing monthly and seasonal streamflow forecasts using the Australian Bureau of Meteorology's streamflow forecasting system. Through evaluation across 300 catchments, the best-performing scheme has been identified, which is found to substantially improve important aspects of the forecast quality. This finding is significant because the improved forecasts help water managers and users of the service to make better-informed decisions. From a classification of river discharge, the effective or dominant discharge is the one whose class corresponds to the maximum sediment supply. The efficiency of the Wadi Sebdou (NW Algeria) was examined over 1973–2004. Two subdivisions allowed a correct distribution of frequencies and supplies of water and sediments. Their effective discharge, close to the half-load discharge , was compared to analytical values based on statistics and rating curves. Return periods were also explained. Understanding responses by changes in land use and land cover (LULC) and climate over the past decades on streamflow in the upper Blue Nile River basin is important for water management and water resource planning. Streamflow in the UBNRB has shown an increasing trend over the last 40 years, while rainfall has shown no trend change. 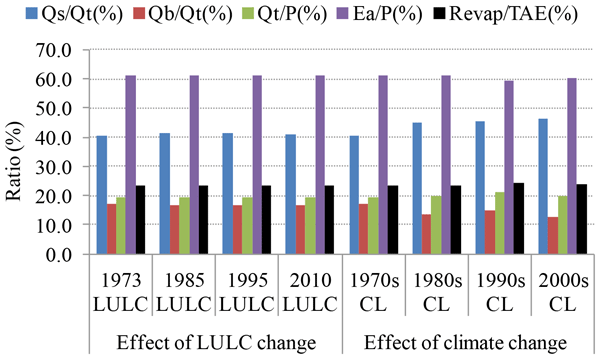 LULC change detection findings indicate increases in cultivated land and decreases in forest coverage prior to 1995. Karst aquifers are vulnerable to pollution due to the typically short particle travel times. As the rainwater runs off on the surface it may collect contamination before infiltrating. This paper proposes a new field-mapping method for the ability of the landscape to produce and convey surface runoff. The method is based on local data collection in the field, and a visual assessment of surface runoff traces from a distance, which makes it suitable for larger areas than traditional field mapping. Recently, deep learning (DL) has emerged as a revolutionary tool for transforming industries and scientific disciplines. We argue that DL can offer a complementary avenue toward advancing hydrology. New methods are being developed to interpret the knowledge learned by deep networks. 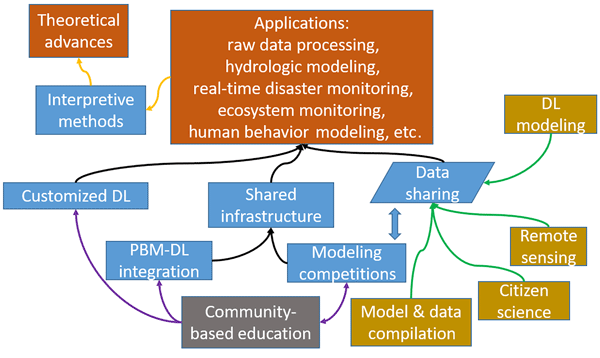 We argue that open competitions, integrating DL and process-based models, more data sharing, data collection from citizen scientists, and improved education will be needed to incubate advances in hydrology. Drought is a natural disaster that can result from changes to temperature, precipitation, and/or vegetation. Here we apply a high-resolution computer model to explore the relative importance of each factor on the North American High Plains, one of the most important agricultural regions of the USA. 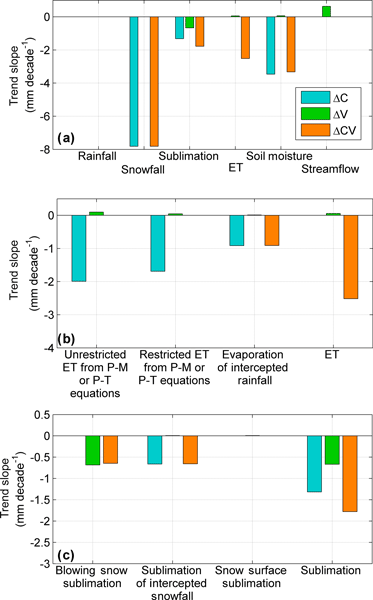 Decreased precipitation caused larger changes in hydrologic variables (evapotranspiration, soil moisture, stream flow and water table levels) than did increased temperature or disturbed vegetation. 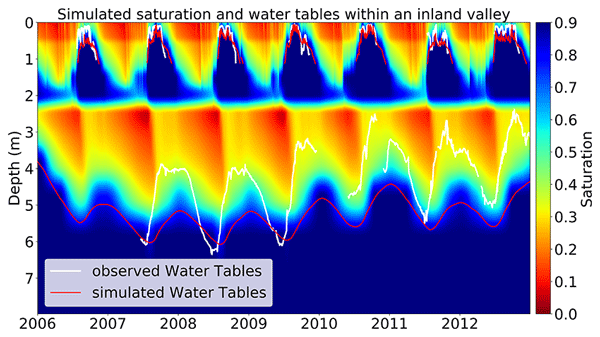 It is a critical step to gap-fill streamflow data for most hydrological studies, such as streamflow trend, flood, and drought analysis and predictions. However, quantitative evaluation of the gap-filled data accuracy is not available. Here we conducted the first comprehensive study, and found that when the missing data rate is less than 10 %, the gap-filled streamflow data using hydrological models are reliable for annual streamflow and its trend analysis. Many chemicals such as pesticides, pharmaceuticals or household chemicals impair water quality in many areas worldwide. Measuring pollution everywhere is too costly. Models can be used instead to predict where high pollution levels are expected. We tested a model that can be used across large river basins. We find that for the selected chemicals predictions are generally within a factor of 2 to 4 from observed concentrations. Often, knowledge about the chemical use limits the predictions. We used the PERSiST model to explore the role of riparian evapotranspiration (ET) in regulating streamflow in Mediterranean regions. 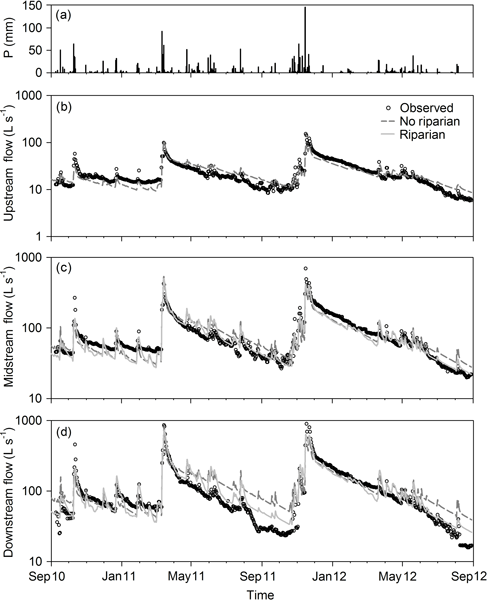 Riparian ET was essential for understanding streamflow dynamics, especially in summer. Moreover, climate change simulations showed that the contribution of riparian ET to annual water budgets will increase in the future. We must include riparian zones in hydrological models in order to establish proper management strategies in water-limited regions. The Arctic has warmed and vegetation has expanded; however, impacts on hydrology are poorly understood. This study used observed meteorology from the last 56 years and changes in vegetation to simulate the water cycle of an Arctic headwater basin. Several changes were found: decreased snow cover duration, deeper permafrost and earlier peak flows. Most changes are from climate change; however, vegetation impacts blowing snow, partially compensating the impact of climate change on streamflow. 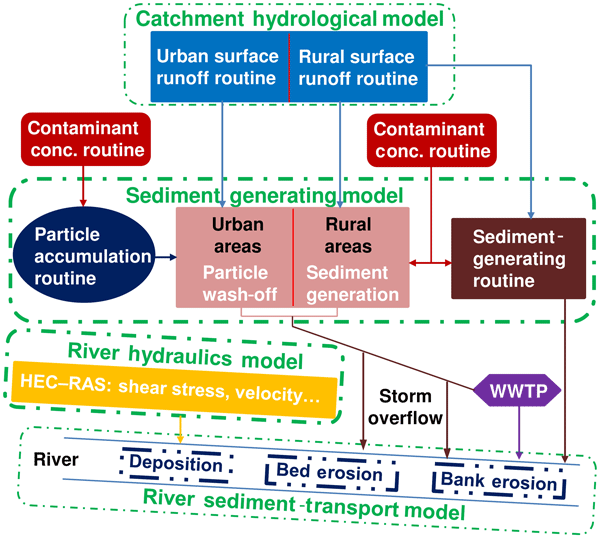 We present a model for water and sediment transport in a small catchment. For the water balance, we use a simple hydrological model that can explain the observed sudden increase in river flow between storm events. This model drives a hydraulic model of the river, which is needed to determine erosion and sedimentation in the river. Sediments are mainly generated in urban areas as the topography of the catchment is smooth. During storm events, erosion and deposition in the river becomes relevant. Debris flows represent a severe hazard in mountain regions and so far remain difficult to predict. We applied a hydrological model to link not only precipitation, but also snowmelt, antecedent soil moisture, etc. with debris flow initiation in an Alpine watershed in Austria. Our results highlight the value of this more holistic perspective for developing a better understanding of debris flow initiation. 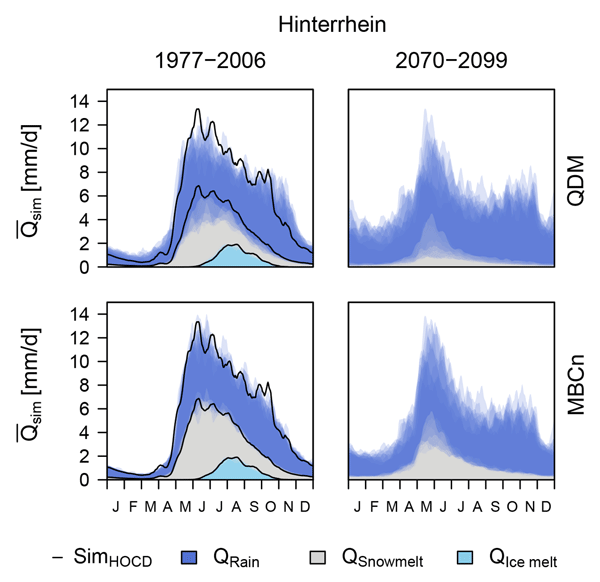 We analyse the control of hydroclimatic factors – erosive rainfall, ice melt, and snowmelt – on suspended sediment concentration (SSC) of Alpine catchments regulated by hydropower, and we develop a multivariate hydroclimatic–informed rating curve. 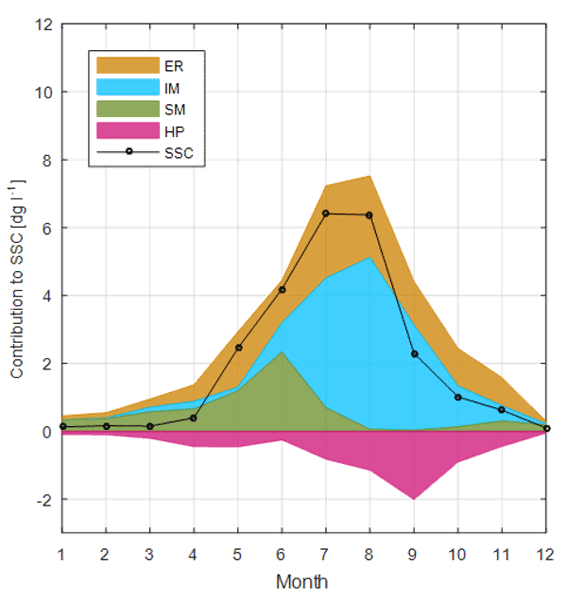 We show that while erosive rainfall determines the variability of SSC, ice melt generates the highest contribution to SSC per unit of runoff. This approach allows the exploration of climate–driven changes in fine sediment dynamics in Alpine catchments. Seasonal ahead rainfall forecast is very important for water resources management. Classification methods are used to identify the extreme rainfall classes’ dry and wet using climate teleconnections. These models can be used for river basin areal river rainfall forecast, to manage reservoir operation. Forecasts of climate phenomena ElNino Southern Oscillation and Indian Ocean Dipole provide useful information to the Sri Lankan water resources managers through these models. Hydrologic modeling methodologies must be developed that are capable of predicting runoff in catchments with changing land cover conditions. This article investigates the efficacy of a recently developed approach that allows for runoff prediction in catchments with unknown land cover changes, through experimentation in a deforested catchment in Vietnam. 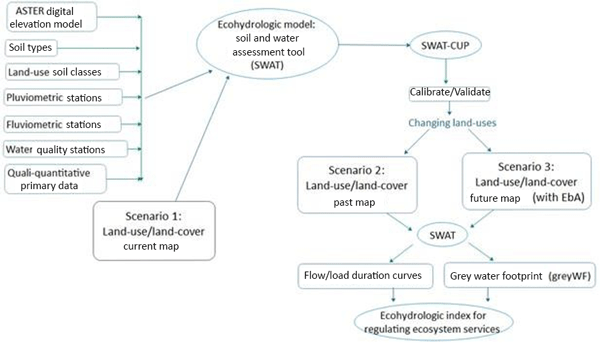 The importance of key elements of the method in ensuring its success, such as the chosen hydrologic model, is investigated. The spatial runoff is decomposed into a deterministic trend and deviations from it caused by stochastic fluctuations which are described by Budyko method and stochastic interpolation. 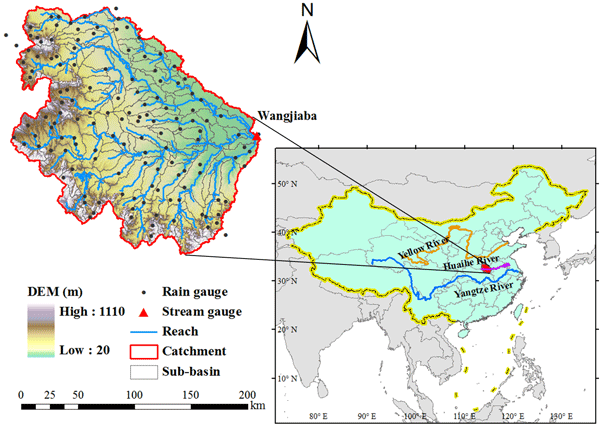 This coupled method is applied to spatially interpolate runoff in the Huaihe River basin of China. Results show that the coupled method reduces the error in overestimating low runoff and underestimating high runoff suffered by the other two methods, so it improves the prediction accuracy of the mean annual runoff. Allen, R. G., Pereira, L. S., Raes, D., and Smith, M.: Crop Evapotranspiration – Guidelines for Computing Crop Water Requirements, FAO Irrigation and drainage paper 56, http://www.fao.org/docrep/x0490e/x0490e00.htm (last access: 16 February 2018), 1998. Berezowski, T., Nossent, J., Chormański, J., and Batelaan, O.: Spatial sensitivity analysis of snow cover data in a distributed rainfall-runoff model, Hydrol. Earth Syst. Sci., 19, 1887–1904, https://doi.org/10.5194/hess-19-1887-2015, 2015. Campolongo, F., Cariboni, J., and Saltelli, A.: An effective screening design for sensitivity analysis of large models, Environ. Model. Softw., 22, 1509–1518, https://doi.org/10.1016/j.envsoft.2006.10.004, 2007. Chen, J. M., Chen, X., Ju, W., and Geng, X.: Distributed hydrological model for mapping evapotranspiration using remote sensing inputs, J. Hydrol., 305, 15–39, https://doi.org/10.1016/j.jhydrol.2004.08.029, 2005. Corbari, C., Ravazzani, G., Ceppi, A., and Mancini, M.: Multi-pixel Calibration of a Distributed Energy Water Balance Model Using Satellite Data of Land Surface Temperature and Eddy Covariance Data, Proced. Environ. Sci., 19, 285–292, https://doi.org/10.1016/j.proenv.2013.06.033, 2013. Cornelissen, T., Diekkrüger, B., and Bogena, H.: Using High-Resolution Data to Test Parameter Sensitivity of the Distributed Hydrological Model HydroGeoSphere, Water, 8, 202, https://doi.org/10.3390/w8050202, 2016. Cramér, H.: Mathematical Methods of Statistics, Princeton University Press, Princeton, 1946. 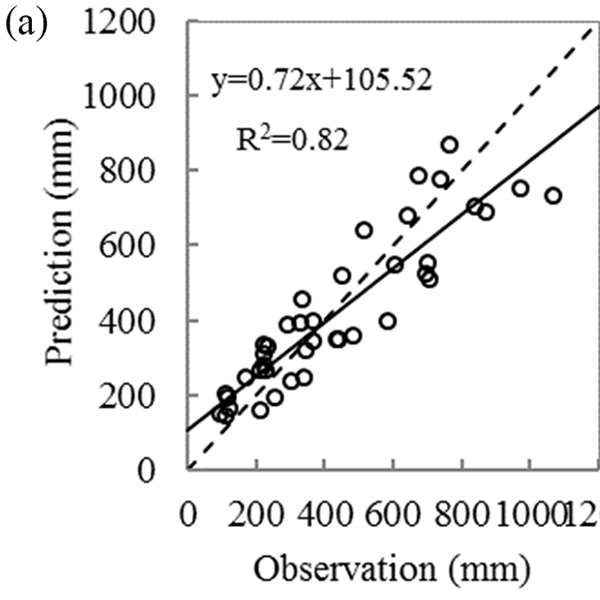 Crow, W. T., Wood, E. F., Pan, M., de Wit, M., Stankiewicz, J., Crow, W. T., Coe, M. T., and Birkett, C. M.: Multiobjective calibration of land surface model evapotranspiration predictions using streamflow observations and spaceborne surface radiometric temperature retrievals, J. Geophys. Res., 311, 1917–1921, https://doi.org/10.1029/2003WR002543, 2003. 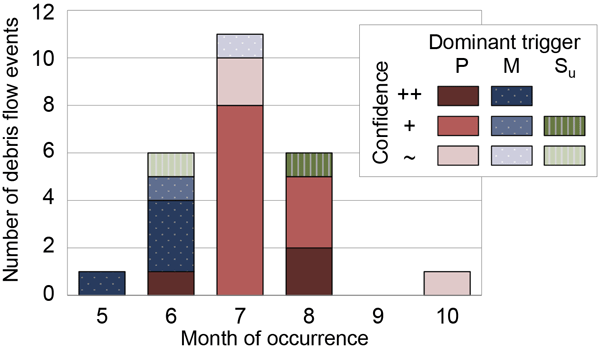 Demirel, M. C., Booij, M. J., and Hoekstra, A. Y.: Effect of different uncertainty sources on the skill of 10 day ensemble low flow forecasts for two hydrological models, Water Resour. Res., 49, 4035–4053, https://doi.org/10.1002/wrcr.20294, 2013. 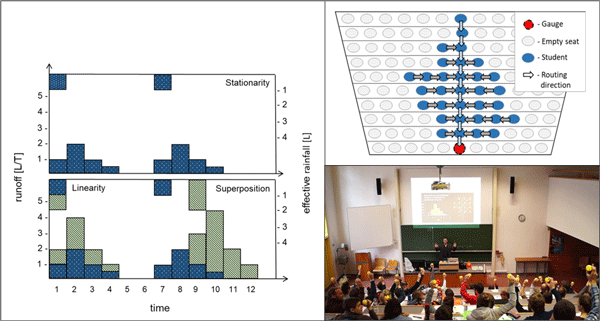 Demirel, M. C., Koch, J., and Stisen, S.: SPAEF: SPAtial EFficiency, Researchgate, https://doi.org/10.13140/RG.2.2.18400.58884, 2017. Duan, Q.-Y. Y., Sorooshian, S., and Gupta, V.: Effective and efficient global optimization for conceptual rainfall-runoff models, Water Resour. Res., 28, 1015–1031, https://doi.org/10.1029/91WR02985, 1992. Githui, F., Thayalakumaran, T., and Selle, B.: Estimating irrigation inputs for distributed hydrological modelling: a case study from an irrigated catchment in southeast Australia, Hydrol. Process., 30, 1824–1835, https://doi.org/10.1002/hyp.10757, 2016. Goodman, L. A. and Kruskal, W. H.: Measures of Association for Cross Classifications, J. Am. Stat. Assoc., 49, 732–764, https://doi.org/10.1080/01621459.1954.10501231, 1954. Greve, M. H., Greve, M. B., Bøcher, P. K., Balstrøm, T., Breuning-Madsen, H., and Krogh, L.: Generating a Danish raster-based topsoil property map combining choropleth maps and point information, Geogr. Tidsskr. J. Geogr., 107, 1–12, https://doi.org/10.1080/00167223.2007.10649565, 2007. Gupta, H. V, Kling, H., Yilmaz, K. K., and Martinez, G. F.: Decomposition of the mean squared error and NSE performance criteria: Implications for improving hydrological modelling, J. Hydrol., 377, 80–91, https://doi.org/10.1016/j.jhydrol.2009.08.003, 2009. 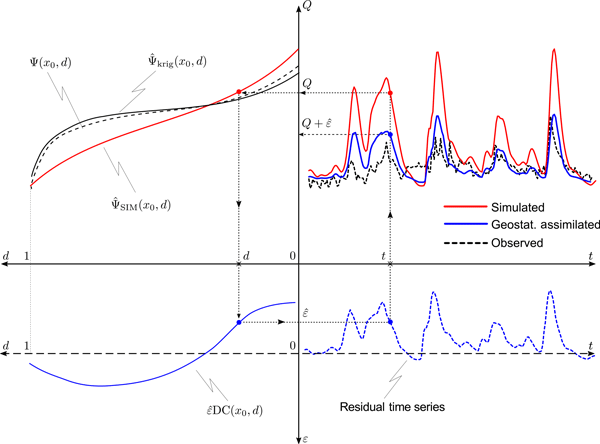 Guzinski, R., Anderson, M. C., Kustas, W. P., Nieto, H., and Sandholt, I.: Using a thermal-based two source energy balance model with time-differencing to estimate surface energy fluxes with day–night MODIS observations, Hydrol. Earth Syst. Sci., 17, 2809–2825, https://doi.org/10.5194/hess-17-2809-2013, 2013. Hargrove, W. W., Hoffman, F. M., and Hessburg, P. F.: Mapcurves: a quantitative method for comparing categorical maps, J. Geogr. Syst., 8, 187–208, https://doi.org/10.1007/s10109-006-0025-x, 2006. Hendricks Franssen, H. J., Brunner, P., Makobo, P., and Kinzelbach, W.: Equally likely inverse solutions to a groundwater flow problem including pattern information from remote sensing images, Water Resour. Res., 44, 224–240, https://doi.org/10.1029/2007WR006097, 2008. 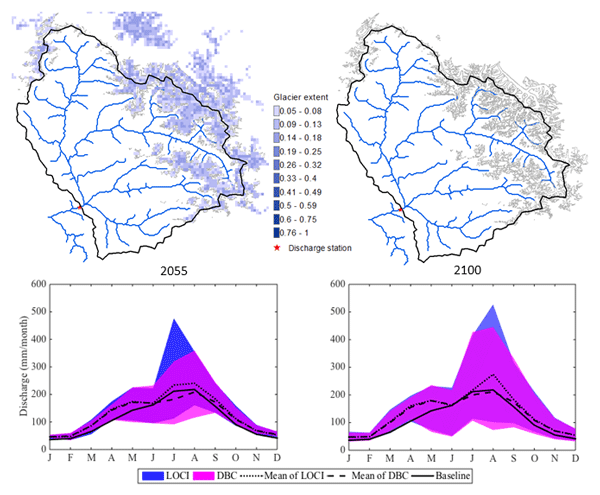 Hunink, J. E., Eekhout, J. P. C., de Vente, J., Contreras, S., Droogers, P., and Baille, A.: Hydrological Modelling using Satellite-based Crop Coefficients: a Comparison of Methods at the Basin Scale, Remote Sens., 9, 174, https://doi.org/10.3390/rs9020174, 2017. Jackson, R. B., Canadell, J., Ehleringer, J. R., Mooney, H. A., Sala, O. E., and Schulze, E. D.: A global analysis of root distributions for terrestrial biomes, Oecologia, 108, 389–411, https://doi.org/10.1007/BF00333714, 1996. Jensen, H. E., Jensen, S. E., Jensen, C. R., Mogensen, V. O. and Hansen, S.: Jordfysik og jordbrugsmeteorologi, Jordbrugsforlaget., 2001. Ji, L. and Gallo, K.: An agreement coefficient for image comparison, Photogramm. Eng. Remote Sens., 72, 823–833, 2006. Larsen, M. A. D., Refsgaard, J. C., Jensen, K. H., Butts, M. B., Stisen, S., and Mollerup, M.: Calibration of a distributed hydrology and land surface model using energy flux measurements, Agr. Forest Meteorol., 217, 74–88, https://doi.org/10.1016/j.agrformet.2015.11.012, 2016. 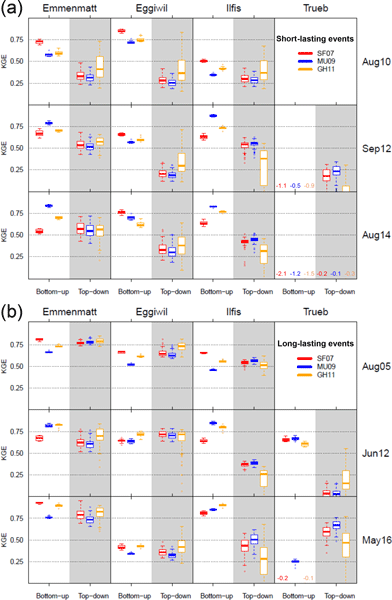 Liu, C., Sun, G., McNulty, S. G., Noormets, A., and Fang, Y.: Environmental controls on seasonal ecosystem evapotranspiration ∕ potential evapotranspiration ratio as determined by the global eddy flux measurements, Hydrol. Earth Syst. 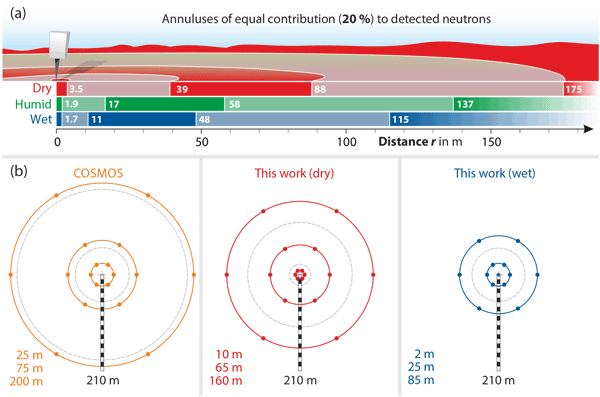 Sci., 21, 311–322, https://doi.org/10.5194/hess-21-311-2017, 2017. Loosvelt, L., Vernieuwe, H., Pauwels, V. R. N., De Baets, B., and Verhoest, N. E. C.: Local sensitivity analysis for compositional data with application to soil texture in hydrologic modelling, Hydrol. Earth Syst. Sci., 17, 461–478, https://doi.org/10.5194/hess-17-461-2013, 2013. Madsen, H. B.: Distribution of spring barley roots in Danish soils, of different texture and under different climatic conditions, Plant Soil, 88, 31–43, https://doi.org/10.1007/BF02140664, 1985. Madsen, H. B.: Computerized soil data used in agricultural water planning, Denmark, Soil Use Manage., 2, 134–139, https://doi.org/10.1111/j.1475-2743.1986.tb00697.x, 1986. Madsen, H. B. and Platou, S. W.: Land use planning in Denmark: the use of soil physical data in irrigation planning, Hydrol. Res., 14, 267–276, 1983. 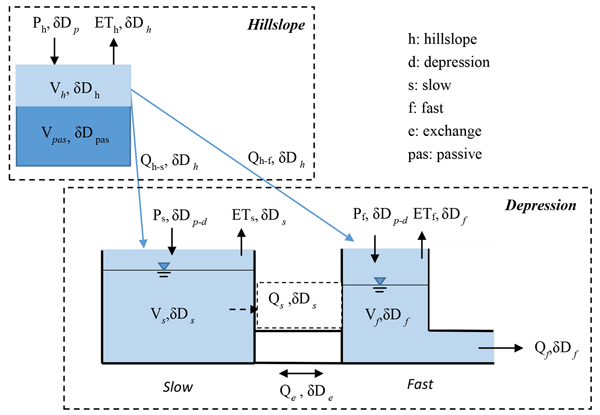 Mizukami, N., Clark, M., Newman, A. J., Wood, A. W., Gutmann, E., Nijssen, B., Rakovec, O., and Samaniego, L.: Toward seamless large domain parameter estimation for hydrologic models, Water Resour. Res., 53, 8020–8040, https://doi.org/10.1002/2017WR020401, 2017. Morris, M. D.: Factorial Sampling Plans for Preliminary Computational Experiments, Technometrics, 33, 161–174, https://doi.org/10.2307/1269043, 1991. Norman, J. M., Kustas, W. P., and Humes, K. S.: Source approach for estimating soil and vegetation energy fluxes in observations of directional radiometric surface temperature, Agr. Forest Meteorol., 7, 263–293, https://doi.org/10.1016/0168-1923(95)02265-Y, 1995. 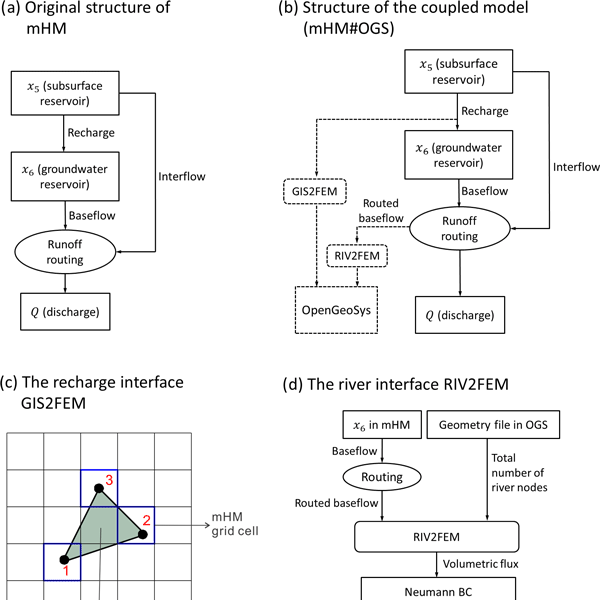 Rakovec, O., Kumar, R., Attinger, S., and Samaniego, L.: Improving the realism of hydrologic model functioning through multivariate parameter estimation, Water Resour. Res., 52, 7779–7792, https://doi.org/10.1002/2016WR019430, 2016. Rees, W. G.: Comparing the spatial content of thematic maps, Int. J. Remote Sens., 29, 3833–3844, https://doi.org/10.1080/01431160701852088, 2008. Samaniego, L., Kumar, R., Mai, J., Zink, M., Thober, S., Cuntz, M., Rakovec, O., Schäfer, D., Schrön, M., Brenner, J., Demirel, M. C., Kaluza, M., Langenberg, B., Stisen, S., and Attinger, S.: Mesoscale Hydrologic Model, https://doi.org/10.5281/zenodo.1069203, 2017. Schumann, G. J. P., Neal, J. C., Voisin, N., Andreadis, K. M., Pappenberger, F., Phanthuwongpakdee, N., Hall, A. C., and Bates, P. D.: A first large scale flood inundation forecasting model, Water Resour. Res., 49, 6248–6257, https://doi.org/10.1002/wrcr.20521, 2013. Shin, M.-J., Guillaume, J. H. A., Croke, B. F. W., and Jakeman, A. J.: Addressing ten questions about conceptual rainfall–runoff models with global sensitivity analyses in R, J. Hydrol., 503, 135–152, https://doi.org/10.1016/j.jhydrol.2013.08.047, 2013. Stisen, S., Jensen, K. H., Sandholt, I., and Grimes, D. I. F. F.: A remote sensing driven distributed hydrological model of the Senegal River basin, J. Hydrol., 354, 131–148, https://doi.org/10.1016/j.jhydrol.2008.03.006, 2008. 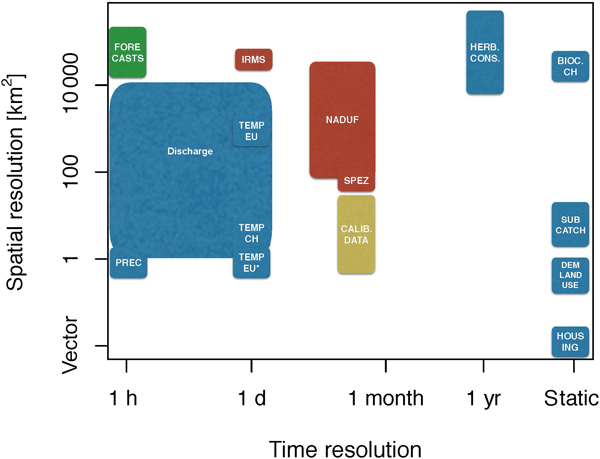 Stisen, S., Sonnenborg, T. O., Højberg, A. L., Troldborg, L., and Refsgaard, J. C.: Evaluation of Climate Input Biases and Water Balance Issues Using a Coupled Surface–Subsurface Model, Vadose Zone J., 10, 37–53, https://doi.org/10.2136/vzj2010.0001, 2011a. 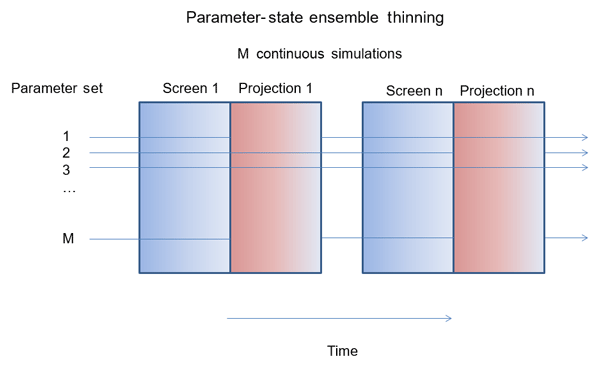 Stisen, S., McCabe, M. F., Refsgaard, J. C., Lerer, S., and Butts, M. B.: Model parameter analysis using remotely sensed pattern information in a multi-constraint framework, J. Hydrol., 409, 337–349, https://doi.org/10.1016/j.jhydrol.2011.08.030, 2011b. Stisen, S., Koch, J., Sonnenborg, T. O., Refsgaard, J. C., Bircher, S., Ringgaard, R., and Jensen, K. H.: Moving beyond runoff calibration – Multi-constraint optimization of a surface-subsurface-atmosphere model, Hydrol. Process., submitted, 2017. Vazquez, J. A., Anctil, F., Ramos, M. H., Perrin, C., and Velázquez, J. 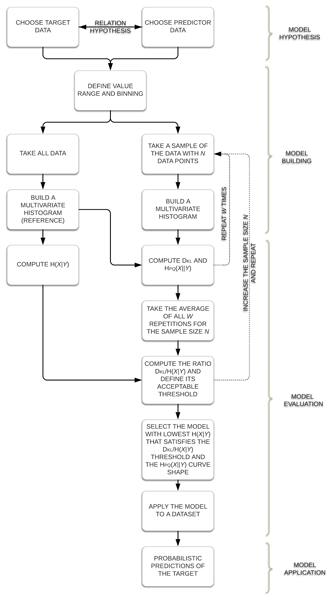 A.: Can a multi-model approach improve hydrological ensemble forecasting? 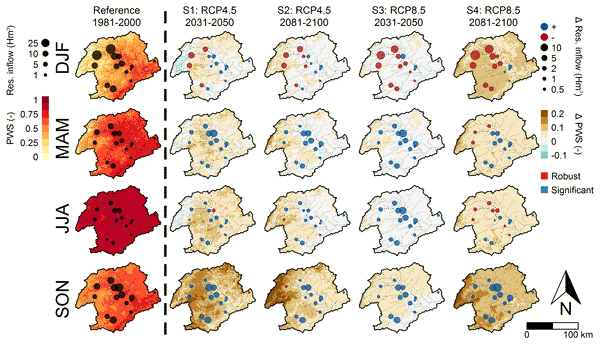 A study on 29 French catchments using 16 hydrological model structures, Adv. Geosci., 29, 33–42, https://doi.org/10.5194/adgeo-29-33-2011, 2011. Velázquez, J. A., Anctil, F., Perrin, C., and Vazquez, J. 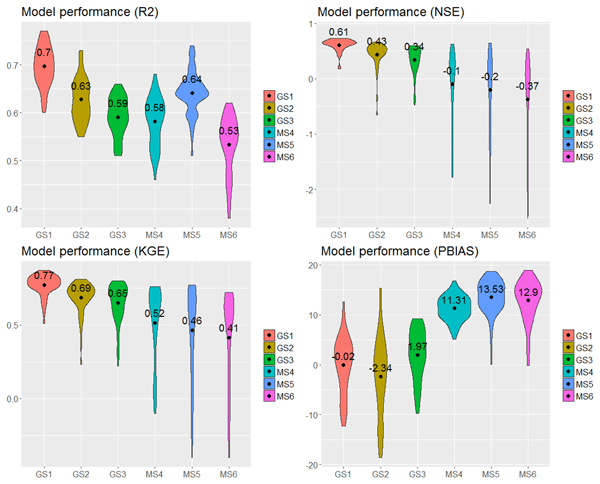 A.: Performance and reliability of multimodel hydrological ensemble simulations based on seventeen lumped models and a thousand catchments, Hydrol. Earth Syst. Sci., 14, 2303–2317, https://doi.org/10.5194/hess-14-2303-2010, 2010. Wei, Z., Yoshimura, K., Wang, L., Miralles, D. G., Jasechko, S., and Lee, X.: Revisiting the contribution of transpiration to global terrestrial evapotranspiration, Geophys. Res. Lett., 44, 2792–2801, https://doi.org/10.1002/2016GL072235, 2017. 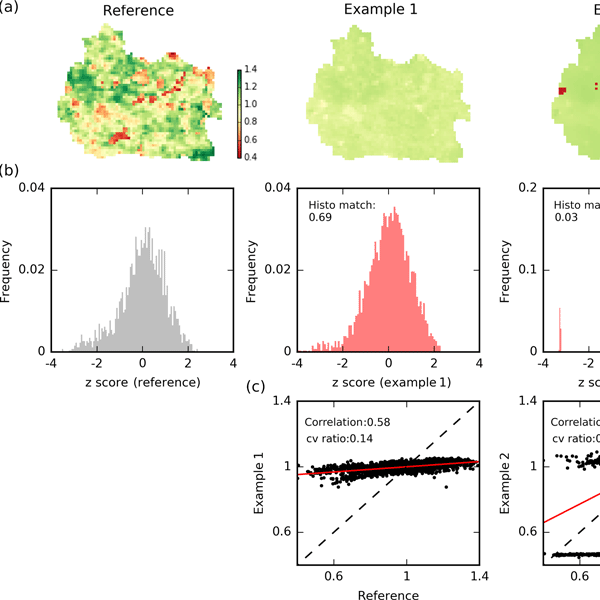 White, J., Stengel, V., Rendon, S., and Banta, J.: The importance of parameterization when simulating the hydrologic response of vegetative land-cover change, Hydrol. Earth Syst. Sci., 21, 3975–3989, https://doi.org/10.5194/hess-21-3975-2017, 2017. Zhang, Y., Chiew, F. H. S., Zhang, L., and Li, H.: Use of Remotely Sensed Actual Evapotranspiration to Improve Rainfall–Runoff Modeling in Southeast Australia, J. Hydrometeorol., 10, 969–980, https://doi.org/10.1175/2009JHM1061.1, 2009.